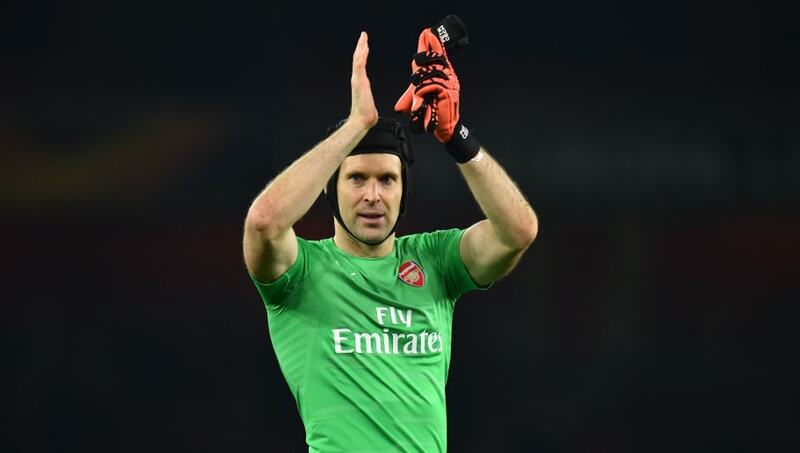 ​Arsenal goalkeeper Petr Cech has said the 3-1 defeat to Stade Rennais in France does not spell the end for the Gunners' hope of European advancement, but admits his side have made it harder for themselves than they had to. Everything seemed to be going to plan when Alex Iwobi opened the scoring in the round of 16 first leg, registering an important away goal in the opening minutes of the tie. But then, Sokratis saw red at the end of the first half, with Rennes going on to equalise immediately - and then put a further two goals past Cech in the second half. "The turning point was the red card because they managed to score from the resulting free-kick," the 36-year-old told ​Arsenal.com. "When we went down to 10 men in the first half, it became a lot more difficult." "We were unlucky with the second goal because it was an own goal from a deflection, but I thought we were still in the game. I think the biggest disappointment is the third goal because at 2-1, you go home and you know that there’s a result where you’ve scored away at home and you can overcome it. "We can still overcome a two-goal deficit because in the end the goal we scored might play a big part, but we made it a little bit harder for ourselves." While it's hardly an ideal situation heading into the home leg, however, two goals and a clean sheet will do the job for ​Arsenal, and Cech remains positive about his side's capability to overcome the deficit. "At home we can win," he added. "We created some chances today as well so we have to be positive. "We’ve done it in the past where we’ve been 2-0 down and have overcome the deficit. One positive is that we can give it a go in the week to overcome it."